Hitchcock Hallway is a series of 11 consecutive rooms. The rooms are connected by doors and they all look alike. 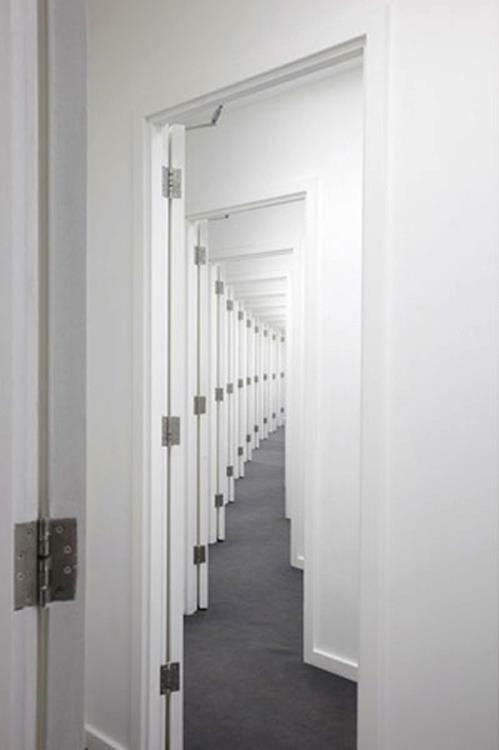 One room leads to the next similar looking room which leads to the next similar room and so forth. The rooms are not alike. When moving into the rooms from the lobby all dimensions of the rooms slightly decreases, this makes the first room 13,21 m3 and the last room 5,26 m3. The change from one room to the next is unrecognizably subtle, but over several rooms it’s distinct.